Of all the birds I have spotted, the Common Kestrel is the most intoxicating one. She has had me in a drunken stupor. Not that I was driving recklessly or trying to overcompensate for my insecurities some other way. It’s a more sophisticated derangement of the senses. One in which I get to take off, like a hot air balloon fueled on amphetamines, feeling light yet grounded. I first saw her in the foothills of Munnar earlier this year. In a matter of a few weeks later, I spotted her again, on two separate occasions, at Pulicat Lake and the Vedanthangal shrub forest. As warm and precious as those experiences have been, there is a lingering suspicion. Maybe an intuition. Mostly a sinking feeling that my love isn’t getting through to her. It is perhaps why I haven’t seen her since. Despite the fact that she is a commonly-found resident falcon in my city. In fact every week I see people post photographs of the Kestrel in local birding forums. My beautiful and lovable Kestrel. So wild is her colour palette with her spotted chestnut plumage, yellow spectacles and graying breasts. And the song in her. Such a gorgeous harmony. If that’s not music, then I don’t want to be human. She’s probably not interested in being a bird. And this definitely isn’t love. Only one of those makes any kind of sense to me. Haha – common bird seen by everyone except you? Such a familiar story. Like someone just said on a forum – it’s like a taxi, they’re never there when you want them. Hehehe yes lass. Exactly that song and dance! 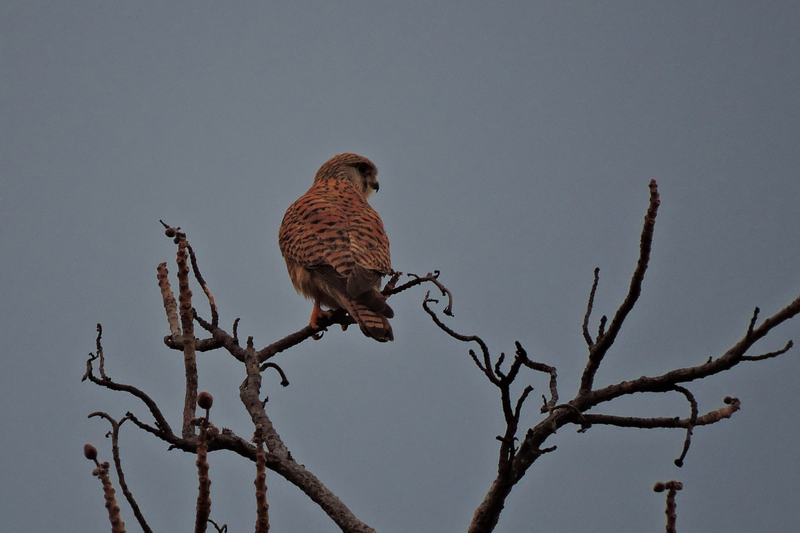 So also, with the Common Kestrel; it seems to be like a Kite, which is the simplified name for it? I’m still learning, so do excuse the questions I ask here, instead of googling dry facts. I love that the birds here get a verse of their own, luscious and lusty most times 🙂 and that you then describe them to us as old friends. Loverrrly! After all, what’s love without a cherry kissed lake on a custard apple neck… sigh!!! Bigger Sigh!! Aww yeah TP, it’s like a forlorn trombone without a winter artist. Sigh indeed!!! Nice shots of a beautiful bird. (tips hat) thank you ma’am! That was one of the most delightful posts I have read in a long time. The sensuality of the opening poem gives way to a wonderful description of a bird I love. Thanks. Beautiful – the poetry and the bird. Thank you! And it’s been a pleasure.